Med Health Services (“MHS”) Laboratory is a CAP and CLIA Certified laboratory with a volume of testing larger than many hospitals in the area of Pittsburgh. Medicare and all insurances are accepted. 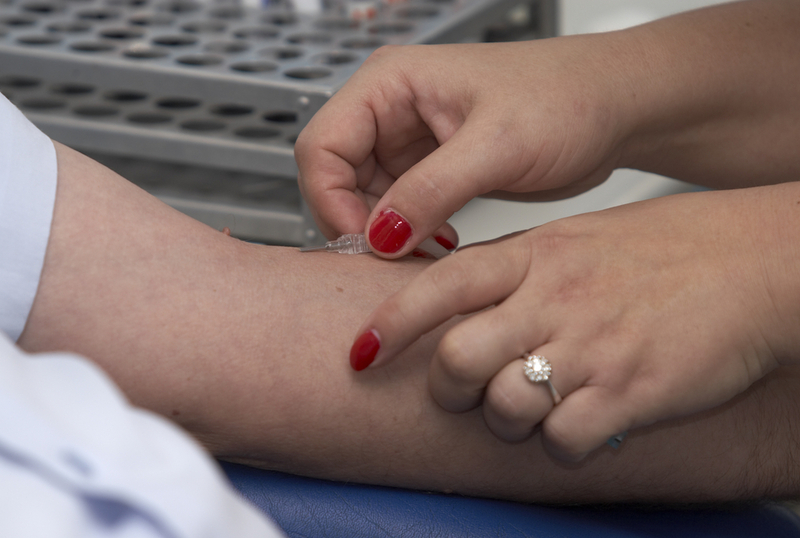 We dispatch phlebotomists to nursing facilities in the early morning hours to provide fasting blood collection services. Patient report turnaround to the facility is 24 hours, with STAT testing available for certain tests, including blood sugars, PT, PTT’s, digoxin levels CBC and differential, etc. Fasting Phlebotomy Services Monday thru Friday (very early morning). STAT Phlebotomy services available Monday thru Sunday with result delivery goal of within 4 hrs. Daily no cost evening courier Service available (M-F) & Saturday morning. a. Interface to EMR for lab results. b. Auto Print in Your Facility. d. EMR order, Web Order & Paper order options. Cumulative reports available by resident (patient) that can graph changes in drug levels, PT levels, etc. These reports are available for your Nursing staff via MHS’ web portal. a. # of requisitions and # of total tests submitted. b. Turnaround time: % of PT, BMP & CBC tests reported by noon & 2pm. c. # of critical results with patient name and result. d. # of STAT results including when they were ordered. e. # of missed draws/lab errors with detail if any. a. Web Order/Retrieval. Facility needs internet access & computers. b. Auto Print in Your Facility. Facility needs internet access/printer. c. Interface to an EMR. MHS to develop interface with your EMR. All lab collection supplies provided by MHS: tubes, requisitions, lock-box, needles, centrifuge, etc . MHS to stock supplies locally as needed at Facility. All MHS employees performing venipunctures have background checks. Competitive client bill rates with accurate monthly client invoicing. MHS Laboratory is CAP / CLIA certified and accepts all insurances.